Pet owners show their dogs love all year round, and Valentine’s Day for dogs is as good as any other day. Recent statistics report that only partners, family members, kids and a few lucky friends will get more love this Valentine’s Day than pets. But while having some extra cash to splurge on fun treats and gifts for your fur bestie is great, what matters most to your dog is you. In other words, your dog won’t grasp the significance that Valentine’s Day is a special day set aside for showing love in special ways. On Valentine’s Day and beyond, there is truly no better way to show your dog you love them than by simply showing up. 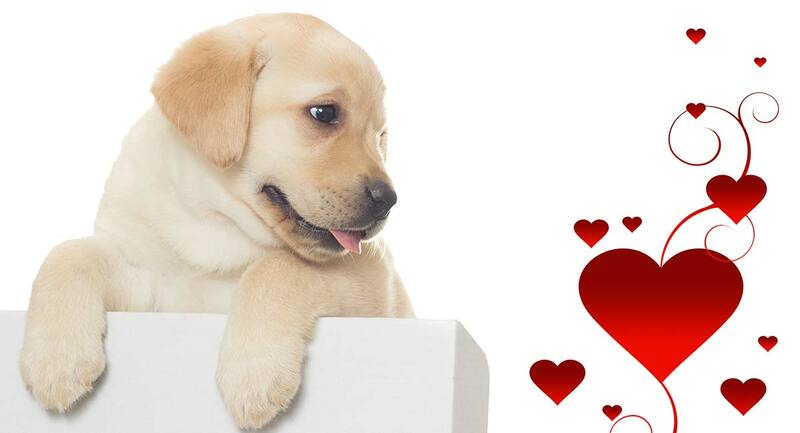 In this article, we feature 10 awesome ways to show your dog this year with Valentine’s Day dog gifts. 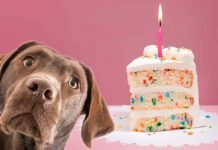 Do you celebrate your dog’s birthday or “gotcha” day? If you do, you share in a new, growing tradition with an estimated three-quarters of dog owners around the world. But birthdays and adoption anniversaries aren’t the only special moments that are perfect for planned canine-centric festivities. In fact, if ever there was an ideal day for a dog party, it is the annual day of love itself. 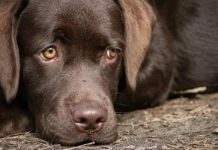 There are a number of companies that now specialize in helping dog owners plan and host parties for pets. But there is no reason why you can’t take a do-it-yourself approach as well. Round up a few of your dog’s furry besties, and host a festive Valentine’s Day treat potluck for pets and people. It doesn’t have to be a complicated event either. A simple play date with snacks offers the perfect setting for showing your pooch some extra-special love and attention. Have you ever looked at your pup as you were rushing around, late as usual, and thought “Now that is the life”? Now you have your chance to live your dog’s life for a whole day. Of course, you’d better make sure you are up to the challenge. Can you really nap for 10 hours straight, or fetch tennis balls for three-hour stretches? How do you feel about spending the afternoon chasing squirrels up trees and barking at the neighbor’s cats? Even if you spend the whole day following your pup’s lead and bringing up the rear, your dog (unlike your boss, your spouse or your workout partner) won’t care at all. All your dog cares about is that you are there. Everyone feels better after a whole day of pampering and your pooch is no exception. 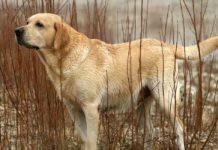 Not only will this give you a chance to have your precious dog checked out just to make sure all is as it should be health-wise. This can also turn what might have felt like a chore into a joy. 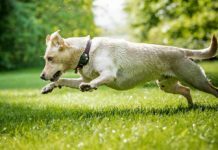 Whether you opt for heading to the local canine spa and groomers or you choose a do-it-yourself approach at home is totally up to you. Be sure the treats flow plentifully throughout. One of the best Valentine’s gifts for dogs you can give is to take some time to research fun places to go in your city that are dog-friendly. Then go check them out with your pup. an early picnic dinner and play session at a nearby park. Increasingly, surveys highlight how strongly pet parents feel about the status of their furry sidekicks. An estimated 91 percent of pet parents today say their pet is a full-fledged, card-carrying family member. Of course, if you are reading this article, chances are good that statement doesn’t shock you. So whether you go the budget route with casual selfies or hire a professional photographer, your dog will love all the attention, treats and memories. Another creative option is to do a fun paw print/hand print project together. This gorgeous pawprint kit even has a double-sided design for both a family portrait and a paw print if you so desire. Training? On Valentine’s Day? If you just thought “ugh,” you are not thinking like a dog. For your pup, training means she gets your undivided attention and plenty of pats, praise and treats. For example, Valentine’s Day for dogs might be the perfect time to teach your pup a fun new trick, or introduce a new interactive puzzle or IQ toy. 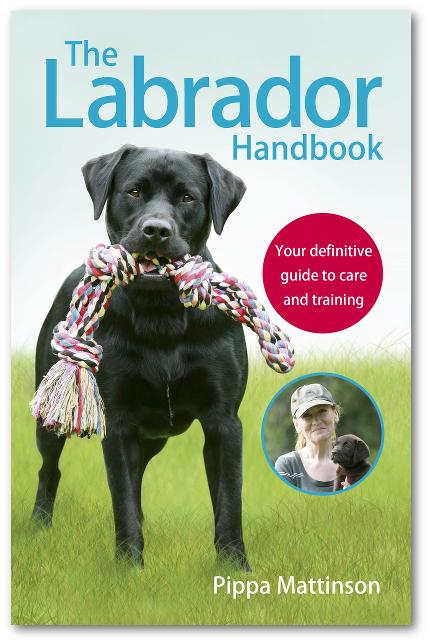 Or, you might want to sign up for an obedience training refresher course that doubles as a canine meet-and-greet. But here again, whether you opt to go the formal route for Valentine’s Day for dogs or set aside extra time for training at home or at a local park, time and attention is your dog’s favorite Valentine’s Day gift. Some dogs can be picky eaters. For other pups, everything (literally) looks edible. But every dog has at least one favorite tasty temptation. Valentine’s Day for dogs is the perfect day to make sure your canine companion enjoys a menu to remember. Even if your dog is on a limited diet, you can still find ways to turn that regular old dog food into Valentine’s Day for dogs treats. One fun idea to consider is serving up your dog’s daily portions of dog food in a new, creative way. For example, you could gift your pup with an interactive feeder like a snuffle mat. This ingenious invention can turn a ho-hum regular mealtime into an all-sensory scavenger hunt. Talk about dinner and entertainment all in one. Most years, Valentine’s Day for dogs could fall on a work day. For most dog owners, this means being separated from our pets for much of the day. But just because you have to slog through a whole work day before you can come home to celebrate doesn’t mean your dog should have to endure being home alone all day. Instead, consider booking a special outing for your pup at a local doggy daycare. returning home to celebrate together properly. An increasing numbers of employers are embracing a pet-friendly work policy. Workplace studies highlight how beneficial this can be, and not just for the employees who bring the pets. For other employees, having the opportunity to pet or interact with a friendly dog can help reduce stress levels by as much as 11 percent over the course of the average workday. This explains why an estimated 20 percent of employers today are now permitting employees to bring their pets with them to work. As it turns out, dogs in the workplace are good for business. What does this mean for you when you choose to bring your pup to work on Valentine’s Day for dogs? It means that you are not just giving your pup one of the best Valentine’s gifts for dogs by bringing her to work with you. You are also giving your co-workers and your boss a great gift by sharing your dog with them on Valentine’s Day too. 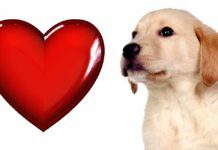 But even if your workplace isn’t currently pet-friendly, certainly Valentine’s Day is the perfect occasion to inquire about instituting a workplace pet policy. One of the defining characteristics of the companion canine is a shared love of snuggling. Dogs don’t (usually) need personal space. This means the hands-down, never-fails, number one way to show your dog you love her is a long, warm, cozy snuggle. For your pup, cuddling is a universal love language that needs no translation. Which one of these 10 suggestions for Valentine’s Day for dogs seems like the perfect fit for your pup? Please post a comment to share your ideas and plans. 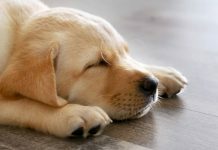 Next articleHow Long Do Dogs Sleep – Is Your Dog Sleeping Too Much?